Childhood social and personality development emerges through the interaction of social influences, biological maturation, and the child’s representations of the social world and the self. This interaction is illustrated in a discussion of the influence of significant relationships, the development of social understanding, the growth of personality, and the development of social and emotional competence in childhood. Provide specific examples of how the interaction of social experience, biological maturation, and the child’s representations of experience and the self provide the basis for growth in social and personality development. Describe the significant contributions of parent–child and peer relationships to the development of social skills and personality in childhood. Explain how achievements in social understanding occur in childhood. Moreover, do scientists believe that infants and young children are egocentric? Describe the association of temperament with personality development. Explain what is “social and emotional competence“ and provide some examples of how it develops in childhood. “How have I become the kind of person I am today?” Every adult ponders this question from time to time. The answers that readily come to mind include the influences of parents, peers, temperament, a moral compass, a strong sense of self, and sometimes critical life experiences such as parental divorce. Social and personality development encompasses these and many other influences on the growth of the person. In addition, it addresses questions that are at the heart of understanding how we develop as unique people. How much are we products of nature or nurture? How enduring are the influences of early experiences? The study of social and personality development offers perspective on these and other issues, often by showing how complex and multifaceted are the influences on developing children, and thus the intricate processes that have made you the person you are today (Thompson, 2006a). Understanding social and personality development requires looking at children from three perspectives that interact to shape development. The first is the social context in which each child lives, especially the relationships that provide security, guidance, and knowledge. The second is biological maturation that supports developing social and emotional competencies and underlies temperamental individuality. The third is children’s developing representations of themselves and the social world. Social and personality development is best understood as the continuous interaction between these social, biological, and representational aspects of psychological development. This interaction can be observed in the development of the earliest relationships between infants and their parents in the first year. Virtually all infants living in normal circumstances develop strong emotional attachments to those who care for them. Psychologists believe that the development of these attachments is as biologically natural as learning to walk and not simply a byproduct of the parents’ provision of food or warmth. Rather, attachments have evolved in humans because they promote children’s motivation to stay close to those who care for them and, as a consequence, to benefit from the learning, security, guidance, warmth, and affirmation that close relationships provide (Cassidy, 2008). Although nearly all infants develop emotional attachments to their caregivers--parents, relatives, nannies-- their sense of security in those attachments varies. Infants become securely attached when their parents respond sensitively to them, reinforcing the infants’ confidence that their parents will provide support when needed. Infants become insecurely attached when care is inconsistent or neglectful; these infants tend to respond avoidantly, resistantly, or in a disorganized manner (Belsky & Pasco Fearon, 2008). Such insecure attachments are not necessarily the result of deliberately bad parenting but are often a byproduct of circumstances. For example, an overworked single mother may find herself overstressed and fatigued at the end of the day, making fully-involved childcare very difficult. In other cases, some parents are simply poorly emotionally equipped to take on the responsibility of caring for a child. The different behaviors of securely- and insecurely-attached infants can be observed especially when the infant needs the caregiver’s support. To assess the nature of attachment, researchers use a standard laboratory procedure called the “Strange Situation,” which involves brief separations from the caregiver (e.g., mother) (Solomon & George, 2008). In the Strange Situation, the caregiver is instructed to leave the child to play alone in a room for a short time, then return and greet the child while researchers observe the child’s response. Depending on the child’s level of attachment, he or she may reject the parent, cling to the parent, or simply welcome the parent—or, in some instances, react with an agitated combination of responses. Infants can be securely or insecurely attached with mothers, fathers, and other regular caregivers, and they can differ in their security with different people. The security of attachment is an important cornerstone of social and personality development, because infants and young children who are securely attached have been found to develop stronger friendships with peers, more advanced emotional understanding and early conscience development, and more positive self-concepts, compared with insecurely attached children (Thompson, 2008). This is consistent with attachment theory’s premise that experiences of care, resulting in secure or insecure attachments, shape young children’s developing concepts of the self, as well as what people are like, and how to interact with them. As children mature, parent-child relationships naturally change. Preschool and grade-school children are more capable, have their own preferences, and sometimes refuse or seek to compromise with parental expectations. This can lead to greater parent-child conflict, and how conflict is managed by parents further shapes the quality of parent-child relationships. In general, children develop greater competence and self-confidence when parents have high (but reasonable) expectations for children’s behavior, communicate well with them, are warm and responsive, and use reasoning (rather than coercion) as preferred responses to children’s misbehavior. This kind of parenting style has been described as authoritative (Baumrind, 2013). Authoritative parents are supportive and show interest in their kids’ activities but are not overbearing and allow them to make constructive mistakes. By contrast, some less-constructive parent-child relationships result from authoritarian, uninvolved, or permissive parenting styles (see Table 1). Parental roles in relation to their children change in other ways, too. Parents increasingly become mediators (or gatekeepers) of their children’s involvement with peers and activities outside the family. Their communication and practice of values contributes to children’s academic achievement, moral development, and activity preferences. As children reach adolescence, the parent-child relationship increasingly becomes one of “coregulation,” in which both the parent(s) and the child recognizes the child’s growing competence and autonomy, and together they rebalance authority relations. We often see evidence of this as parents start accommodating their teenage kids’ sense of independence by allowing them to get cars, jobs, attend parties, and stay out later. Family relationships are significantly affected by conditions outside the home. For instance, the Family Stress Model describes how financial difficulties are associated with parents’ depressed moods, which in turn lead to marital problems and poor parenting that contributes to poorer child adjustment (Conger, Conger, & Martin, 2010). Within the home, parental marital difficulty or divorce affects more than half the children growing up today in the United States. Divorce is typically associated with economic stresses for children and parents, the renegotiation of parent-child relationships (with one parent typically as primary custodian and the other assuming a visiting relationship), and many other significant adjustments for children. Divorce is often regarded by children as a sad turning point in their lives, although for most it is not associated with long-term problems of adjustment (Emery, 1999). Parent-child relationships are not the only significant relationships in a child’s life. Peer relationships are also important. Social interaction with another child who is similar in age, skills, and knowledge provokes the development of many social skills that are valuable for the rest of life (Bukowski, Buhrmester, & Underwood, 2011). In peer relationships, children learn how to initiate and maintain social interactions with other children. They learn skills for managing conflict, such as turn-taking, compromise, and bargaining. Play also involves the mutual, sometimes complex, coordination of goals, actions, and understanding. For example, as infants, children get their first encounter with sharing (of each other’s toys); during pretend play as preschoolers they create narratives together, choose roles, and collaborate to act out their stories; and in primary school, they may join a sports team, learning to work together and support each other emotionally and strategically toward a common goal. Through these experiences, children develop friendships that provide additional sources of security and support to those provided by their parents. However, peer relationships can be challenging as well as supportive (Rubin, Coplan, Chen, Bowker, & McDonald, 2011). Being accepted by other children is an important source of affirmation and self-esteem, but peer rejection can foreshadow later behavior problems (especially when children are rejected due to aggressive behavior). With increasing age, children confront the challenges of bullying, peer victimization, and managing conformity pressures. Social comparison with peers is an important means by which children evaluate their skills, knowledge, and personal qualities, but it may cause them to feel that they do not measure up well against others. For example, a boy who is not athletic may feel unworthy of his football-playing peers and revert to shy behavior, isolating himself and avoiding conversation. Conversely, an athlete who doesn’t “get” Shakespeare may feel embarrassed and avoid reading altogether. Also, with the approach of adolescence, peer relationships become focused on psychological intimacy, involving personal disclosure, vulnerability, and loyalty (or its betrayal)—which significantly affects a child’s outlook on the world. Each of these aspects of peer relationships requires developing very different social and emotional skills than those that emerge in parent-child relationships. They also illustrate the many ways that peer relationships influence the growth of personality and self-concept. As we have seen, children’s experience of relationships at home and the peer group contributes to an expanding repertoire of social and emotional skills and also to broadened social understanding. In these relationships, children develop expectations for specific people (leading, for example, to secure or insecure attachments to parents), understanding of how to interact with adults and peers, and developing self-concept based on how others respond to them. These relationships are also significant forums for emotional development. Remarkably, young children begin developing social understanding very early in life. Before the end of the first year, infants are aware that other people have perceptions, feelings, and other mental states that affect their behavior, and which are different from the child’s own mental states. This can be readily observed in a process called social referencing, in which an infant looks to the mother’s face when confronted with an unfamiliar person or situation (Feinman, 1992). If the mother looks calm and reassuring, the infant responds positively as if the situation is safe. If the mother looks fearful or distressed, the infant is likely to respond with wariness or distress because the mother’s expression signals danger. In a remarkably insightful manner, therefore, infants show an awareness that even though they are uncertain about the unfamiliar situation, their mother is not, and that by “reading” the emotion in her face, infants can learn about whether the circumstance is safe or dangerous, and how to respond. Although developmental scientists used to believe that infants are egocentric—that is, focused on their own perceptions and experience—they now realize that the opposite is true. Infants are aware at an early stage that people have different mental states, and this motivates them to try to figure out what others are feeling, intending, wanting, and thinking, and how these mental states affect their behavior. They are beginning, in other words, to develop a theory of mind, and although their understanding of mental states begins very simply, it rapidly expands (Wellman, 2011). For example, if an 18-month-old watches an adult try repeatedly to drop a necklace into a cup but inexplicably fail each time, they will immediately put the necklace into the cup themselves—thus completing what the adult intended, but failed, to do. In doing so, they reveal their awareness of the intentions underlying the adult’s behavior (Meltzoff, 1995). Carefully designed experimental studies show that by late in the preschool years, young children understand that another’s beliefs can be mistaken rather than correct, that memories can affect how you feel, and that one’s emotions can be hidden from others (Wellman, 2011). Social understanding grows significantly as children’s theory of mind develops. How do these achievements in social understanding occur? One answer is that young children are remarkably sensitive observers of other people, making connections between their emotional expressions, words, and behavior to derive simple inferences about mental states (e.g., concluding, for example, that what Mommy is looking at is in her mind) (Gopnik, Meltzoff, & Kuhl, 2001). This is especially likely to occur in relationships with people whom the child knows well, consistent with the ideas of attachment theory discussed above. Growing language skills give young children words with which to represent these mental states (e.g., “mad,” “wants”) and talk about them with others. Thus in conversation with their parents about everyday experiences, children learn much about people’s mental states from how adults talk about them (“Your sister was sad because she thought Daddy was coming home.”) (Thompson, 2006b). Developing social understanding is, in other words, based on children’s everyday interactions with others and their careful interpretations of what they see and hear. There are also some scientists who believe that infants are biologically prepared to perceive people in a special way, as organisms with an internal mental life, and this facilitates their interpretation of people’s behavior with reference to those mental states (Leslie, 1994). Parents look into the faces of their newborn infants and wonder, “What kind of person will this child will become?” They scrutinize their baby’s preferences, characteristics, and responses for clues of a developing personality. They are quite right to do so, because temperament is a foundation for personality growth. But temperament (defined as early-emerging differences in reactivity and self-regulation) is not the whole story. Although temperament is biologically based, it interacts with the influence of experience from the moment of birth (if not before) to shape personality (Rothbart, 2011). Temperamental dispositions are affected, for example, by the support level of parental care. More generally, personality is shaped by the goodness of fit between the child’s temperamental qualities and characteristics of the environment (Chess & Thomas, 1999). For example, an adventurous child whose parents regularly take her on weekend hiking and fishing trips would be a good “fit” to her lifestyle, supporting personality growth. Personality is the result, therefore, of the continuous interplay between biological disposition and experience, as is true for many other aspects of social and personality development. Personality develops from temperament in other ways (Thompson, Winer, & Goodvin, 2010). As children mature biologically, temperamental characteristics emerge and change over time. A newborn is not capable of much self-control, but as brain-based capacities for self-control advance, temperamental changes in self-regulation become more apparent. For example, a newborn who cries frequently doesn’t necessarily have a grumpy personality; over time, with sufficient parental support and increased sense of security, the child might be less likely to cry. In addition, personality is made up of many other features besides temperament. Children’s developing self-concept, their motivations to achieve or to socialize, their values and goals, their coping styles, their sense of responsibility and conscientiousness, and many other qualities are encompassed into personality. These qualities are influenced by biological dispositions, but even more by the child’s experiences with others, particularly in close relationships, that guide the growth of individual characteristics. Indeed, personality development begins with the biological foundations of temperament but becomes increasingly elaborated, extended, and refined over time. The newborn that parents gazed upon thus becomes an adult with a personality of depth and nuance. Social and personality development is built from the social, biological, and representational influences discussed above. These influences result in important developmental outcomes that matter to children, parents, and society: a young adult’s capacity to engage in socially constructive actions (helping, caring, sharing with others), to curb hostile or aggressive impulses, to live according to meaningful moral values, to develop a healthy identity and sense of self, and to develop talents and achieve success in using them. These are some of the developmental outcomes that denote social and emotional competence. These achievements of social and personality development derive from the interaction of many social, biological, and representational influences. Consider, for example, the development of conscience, which is an early foundation for moral development. Conscience consists of the cognitive, emotional, and social influences that cause young children to create and act consistently with internal standards of conduct (Kochanska, 2002). Conscience emerges from young children’s experiences with parents, particularly in the development of a mutually responsive relationship that motivates young children to respond constructively to the parents’ requests and expectations. Biologically based temperament is involved, as some children are temperamentally more capable of motivated self-regulation (a quality called effortful control) than are others, while some children are dispositionally more prone to the fear and anxiety that parental disapproval can evoke. Conscience development grows through a good fit between the child’s temperamental qualities and how parents communicate and reinforce behavioral expectations. Moreover, as an illustration of the interaction of genes and experience, one research group found that young children with a particular gene allele (the 5-HTTLPR) were low on measures of conscience development when they had previously experienced unresponsive maternal care, but children with the same allele growing up with responsive care showed strong later performance on conscience measures (Kochanska, Kim, Barry, & Philibert, 2011). Conscience development also expands as young children begin to represent moral values and think of themselves as moral beings. By the end of the preschool years, for example, young children develop a “moral self” by which they think of themselves as people who want to do the right thing, who feel badly after misbehaving, and who feel uncomfortable when others misbehave. In the development of conscience, young children become more socially and emotionally competent in a manner that provides a foundation for later moral conduct (Thompson, 2012). The development of gender and gender identity is likewise an interaction among social, biological, and representational influences (Ruble, Martin, & Berenbaum, 2006). Young children learn about gender from parents, peers, and others in society, and develop their own conceptions of the attributes associated with maleness or femaleness (called gender schemas). They also negotiate biological transitions (such as puberty) that cause their sense of themselves and their sexual identity to mature. Each of these examples of the growth of social and emotional competence illustrates not only the interaction of social, biological, and representational influences, but also how their development unfolds over an extended period. Early influences are important, but not determinative, because the capabilities required for mature moral conduct, gender identity, and other outcomes continue to develop throughout childhood, adolescence, and even the adult years. As the preceding sentence suggests, social and personality development continues through adolescence and the adult years, and it is influenced by the same constellation of social, biological, and representational influences discussed for childhood. Changing social relationships and roles, biological maturation and (much later) decline, and how the individual represents experience and the self continue to form the bases for development throughout life. In this respect, when an adult looks forward rather than retrospectively to ask, “what kind of person am I becoming?”—a similarly fascinating, complex, multifaceted interaction of developmental processes lies ahead. If parent–child relationships naturally change as the child matures, would you expect that the security of attachment might also change over time? What reasons would account for your expectation? In what ways does a child’s developing theory of mind resemble how scientists create, refine, and use theories in their work? In other words, would it be appropriate to think of children as informal scientists in their development of social understanding? If there is a poor goodness of fit between a child’s temperament and characteristics of parental care, what can be done to create a better match? Provide a specific example of how this might occur. What are the contributions that parents offer to the development of social and emotional competence in children? Answer this question again with respect to peer contributions. A parenting style characterized by high (but reasonable) expectations for children’s behavior, good communication, warmth and nurturance, and the use of reasoning (rather than coercion) as preferred responses to children’s misbehavior. The cognitive, emotional, and social influences that cause young children to create and act consistently with internal standards of conduct. A temperament quality that enables children to be more successful in motivated self-regulation. A description of the negative effects of family financial difficulty on child adjustment through the effects of economic stress on parents’ depressed mood, increased marital problems, and poor parenting. Organized beliefs and expectations about maleness and femaleness that guide children’s thinking about gender. The match or synchrony between a child’s temperament and characteristics of parental care that contributes to positive or negative personality development. A good “fit” means that parents have accommodated to the child’s temperamental attributes, and this contributes to positive personality growth and better adjustment. An infant’s confidence in the sensitivity and responsiveness of a caregiver, especially when he or she is needed. Infants can be securely attached or insecurely attached. The process by which one individual consults another’s emotional expressions to determine how to evaluate and respond to circumstances that are ambiguous or uncertain. Early emerging differences in reactivity and self-regulation, which constitutes a foundation for personality development. Children’s growing understanding of the mental states that affect people’s behavior. Baumrind, D. (2013). Authoritative parenting revisited: History and current status. In R. E. Larzelere, A. Sheffield, & A. W. Harrist (Eds. ), Authoritative parenting: Synthesizing nurturance and discipline for optimal child development (pp. 11–34). Washington, DC: American Psychological Association. Belsky, J., & Pasco Fearon, R. M. (2008). Precursors of attachment security. In J. Cassidy & P. R. Shaver (Eds. ), Handbook of attachment: Theory, research, and clinical applications (2nd ed., pp. 295–316). New York, NY: Guilford. Cassidy, J. (2008). The nature of the child’s ties. In J. Cassidy & P. R. Shaver (Eds. ), Handbook of attachment: Theory, research, and clinical applications (2nd ed., pp. 3–22). New York, NY: Guilford. Chess, S., & Thomas, A. (1999). Goodness of fit: Clinical applications from infancy through adult life. New York, NY: Brunner-Mazel/Taylor & Francis. Emery, R. E. (1999). Marriage, divorce, and children’s adjustment (2nd ed.). Thousand Oaks, CA: Sage. Feinman, S. (Ed.) (1992). Social referencing and the social construction of reality in infancy. New York, NY: Plenum. Gopnik, A., Meltzoff, A. N., & Kuhl, P. K. (2001). The scientist in the crib. New York, NY: HarperCollins. Kochanska, G. (2002). Mutually responsive orientation between mothers and their young children: A context for the early development of conscience. Current Directions in Psychological Science, 11, 191–195. Kochanska, G., Kim, S., Barry, R. A., & Philibert, R. A. (2011). Children’s genotypes interact with maternal responsive care in predicting children’s competence: Diathesis-stress or differential susceptibility? Development and Psychopathology, 23, 605-616. Leslie, A. M. (1994). ToMM, ToBy, and agency: Core architecture and domain specificity in cognition and culture. In L. Hirschfeld & S. Gelman (Eds. ), Mapping the mind: Domain specificity in cognition and culture (pp. 119-148). New York, NY: Cambridge University Press. Meltzoff, A. N. (1995). Understanding the intentions of others: Re-enactment of intended acts by 18-month-old children. Developmental Psychology, 31, 838-850. Rothbart, M. K. (2011). Becoming who we are: Temperament and personality in development. New York, NY: Guilford. Rubin, K. H., Coplan, R., Chen, X., Bowker, J., & McDonald, K. L. (2011). Peer relationships in childhood. In M. Bornstein & M. E. Lamb (Eds. ), Developmental science: An advanced textbook (6th ed. pp. 519–570). New York, NY: Psychology Press/Taylor & Francis. Ruble, D. N., Martin, C., & Berenbaum, S. (2006). Gender development. In W. Damon & R. M. Lerner (Series Eds.) & N. Eisenberg (Vol. Ed. ), Handbook of child psychology: Vol. 3. Social, emotional, and personality development (6th ed., pp. 858–932). New York, NY: Wiley. Solomon, J., & George, C. (2008). The measurement of attachment security and related constructs in infancy and early childhood. In J. Cassidy & P. R. Shaver (Eds. ), Handbook of attachment: Theory, research, and clinical applications (2nd ed., pp. 383–416). New York, NY: Guilford. Thompson, R. A. (2012). Whither the preconventional child? Toward a life-span moral development theory. Child Development Perspectives, 6, 423–429. Thompson, R. A. (2008). Early attachment and later development: Familiar questions, new answers. In J. Cassidy & P. R. Shaver (Eds. ), Handbook of attachment: Theory, research, and clinical applications (2nd ed., pp. 348–365). New York, NY: Guilford. Thompson, R. A. (2006a). Conversation and developing understanding: Introduction to the special issue. Merrill-Palmer Quarterly, 52, 1–16. Thompson, R. A. (2006b). The development of the person: Social understanding, relationships, self, conscience. In W. Damon & R. M. Lerner (Series Eds.) & N. Eisenberg (Vol. Ed. ), Handbook of child psychology: Vol. 3. Social, emotional, and personality development (6th ed., pp. 24–98). New York, NY: Wiley. Thompson, R. A., Winer, A. C., & Goodvin, R. (2010). The individual child: Temperament, emotion, self, and personality. In M. Bornstein & M. E. Lamb (Eds. ), Developmental science: An advanced textbook (6th ed., pp. 423–464). New York, NY: Psychology Press/Taylor & Francis. 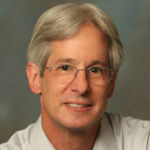 Ross A. Thompson is Distinguished Professor of Psychology at the University of California, Davis. His research focuses on early social, emotional, and personality development, and the applications of this research to public policy concerning children and families. He has been recognized for his research contributions, teaching achievements, and public service. Social and Personality Development in Childhood by Ross Thompson is licensed under a Creative Commons Attribution-NonCommercial-ShareAlike 4.0 International License. Permissions beyond the scope of this license may be available in our Licensing Agreement.